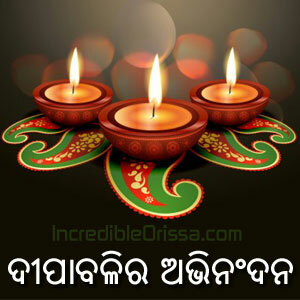 This year, Diwali or Deepavali in Odisha will be celebrated on 28th October 2019 (Monday). Kali Puja celebration will start from 27th October 2019 (Sunday). It is the festival of lights and has its own charm & style. 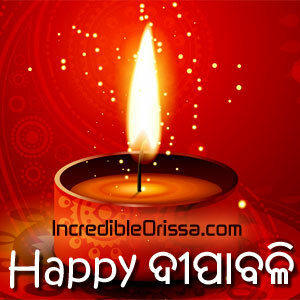 Now-a-days there is not much difference in Diwali celebration in Odisha. Rows of oil lamps, candles and lanterns adorn the thresholds of all houses. Crackers are burst, sweets are relished and distributed. It is a ritual that calls upon the spirits of the family’s forefathers. All members of the family hold a bundle of jute stems in their hands. Lighting their respective bundles from the flame on the rangoli, they raise them skywards chanting the following verse. Andhara re asa, Alua re jao. Kali Puja is celebrated in homes and public pandals with clay idols of Maa Kali. Maa Kali is worshipped at night with Tantric rites and mantras. 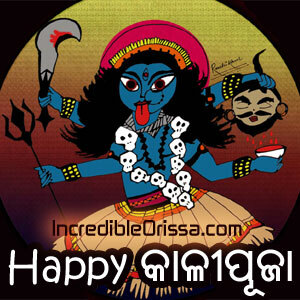 Maa is prescribed offerings of red hibiscus flowers, animal blood in a skull, sweets, rice and lentils, fish and meat. Bhadrak Kali Puja at Charampa Bazar is a special attraction and the tourists throng from across the State to witness the festival. The puja here is accompanied by a ‘mela’ wherein vendors from not just the State but from West Bengal, Bihar, Jharkhand, Assam, Manipur and UP set up stalls to exhibit and sell their handicrafts. Get Diwali odia wallpaper, Dipabali greetings, Kali Puja wishes, Deepavali images, facebook cover photos. Diwali whatsapp images here.